Frederic G. Reamer, PhD, has been a professor in the graduate program of the School of Social Work, Rhode Island College, Providence, Rhode Island, for over 30 years. Dr. Reamer received his PhD from the University of Chicago and has served as a social worker in correctional and mental health settings. He chaired the national task force that wrote the current National Association of Social Worker’s Code of Ethics. Dr. Reamer also chaired the ASWB International Task Force that wrote the 2015 Model Regulatory Standards for Technology and Social Work Practice. Dr. Reamer lectures both nationally and internationally on the subjects of professional ethics and professional malpractice and liability. In addition to ethics, his research and teaching have addressed a wide range of human service issues, including mental health, health care, criminal justice, and public welfare. 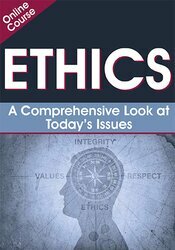 Dr. Reamer has conducted extensive research on professional ethics and has been involved in several national research projects sponsored by The Hastings Center, Carnegie Corporation, Haas Foundation, and Center for Bioethics of the University of Pennsylvania. He is the author of chapters on professional ethics in the Encyclopedia of Social Work, the Encyclopedia of Bioethics, and the Encyclopedia of Applied Ethics and is the author of many books, including: Risk Management in Social Work: Preventing Professional Malpractice, Liability, and Disciplinary Action; Boundary Issues and Dual Relationships in the Human Services; The Social Work Ethics Audit: A Risk Management Tool and his latest, On the Parole Board: Reflections on Crime, Punishment, Redemption, and Justice. Financial: Frederic Reamer is a Professor, School of Social Work, for Rhode Island College. Non-financial: Frederic Reamer is a member of the National Association of Social Workers.